Sara closed her presentation by discussing some of the ethical issues that are part of storytelling with today’s technology. She showed a video story of a mom who flies military helicopters. The story created a different feeling when the story used natural sound and then the story that included dramatic music in the background. Should music be used in news stories? The group said no. 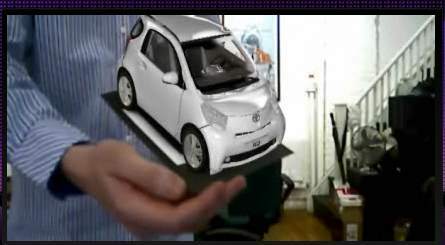 She showed the Toyota Web site that has a 3D demonstration of the Toyota iQ car. 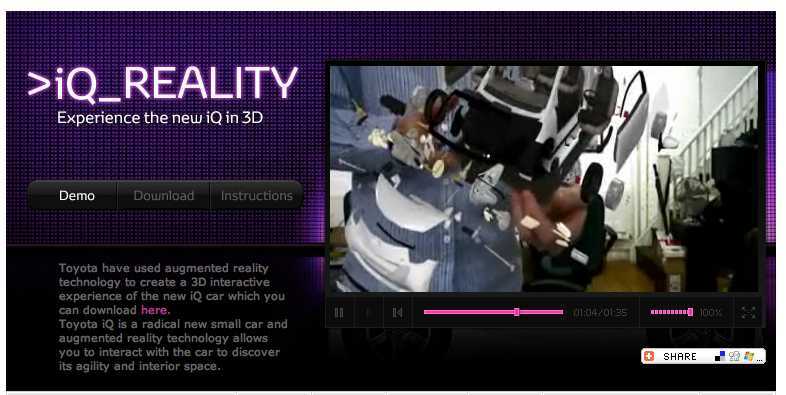 With the use of augmented reality technology, we can see the car separate into parts — doors, tires, frame. It all seems so real, but the car isn’t even there in reality.